You are here: Home / Wedding Products / Accessories / Your Veil: Do it Yourself (DIY) or Buy? In today’s economy, many are looking for ways to have the wedding of their dreams while also keeping costs low. If this describes you (or a client), doing your veil yourself (DIY) may be an option. Or not. It comes down to personal skills and preferences. 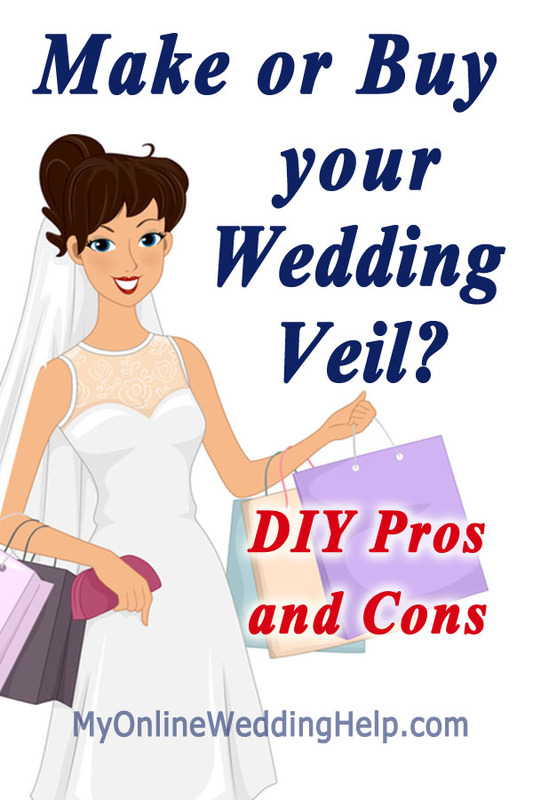 Here are some considerations when deciding whether to make a veil. Read below or scroll to the video at the bottom of this post. You get the color, length, trims, and beading, etc. you want. You also have the option of buying a relatively simple veil, then decorating it yourself. Making some types of veils is relatively easy, even if you are “craft impaired” like I am. If you are very good at sewing, you can have the ability to create an elaborate, completely custom veil. Buying at discount may cost about the same or even cost less than making it. You save time by buying your veil. In the video below, I elaborate on your choices. I would consider saving on other wedding costs I want to make sure I have a gorgeous veil but still this is a great alternative!